Finding the right transducer… for what you will be using the DSM Module for takes a little bit of planning . There area few factors involved when choosing the right one. 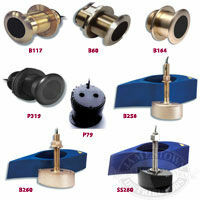 Bronze housings are recommended for fiberglass or wood hulls. Bronze is preferable to plastic for wooden hulls because the expansion of wood could damage a plastic transducer and cause a leak. 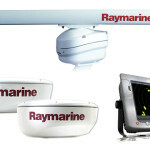 Installation of a bronze housing in a metal hull requires an insulating fairing, available from your Raymarine dealer. 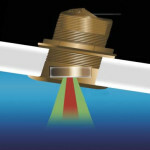 A metal housing should NOT be installed in a vessel with a positive ground system. What you want to see displayed: depth, speed, temperature, or a combination. Then, determine primarily what the sounders purpose will be i.e. looking for fish/structure or just as a depth sounder, the depth you will be using the sounder in and where on the boat the transducer will be mounted. To help with answering some of these questions, start by taking a look at the Transducer PDF Guide below by Aimar. Airmar makes transducers for virtually all fishfinders including Raymarines DSM250, DSM300 sounder modules used with the C120 Classic. This guide will get you headed in the right direction with understanding transducers and selecting the right one for your application. Once you have narrowed down your list of models your looking for, Try this link – “C Series compatible Transducers” for a full listing of “current deals” on the model your looking for or something compatible. There are a few common models listed below. * This is the Best Guide for – Transducers, how they work and choosing the right one – Its a PDF and quite large but an excellent source of information. Click on the image. 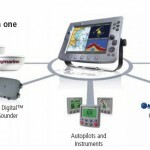 * This is a Raymarine – Transducer Installation Guide PDF. Click on the Image.